A sixteen year old boy wearing a bullet proof vest fired on Cornelius, North Carolina police officers Saturday, wounding one officer. The officers were responding to a domestic disturbance call at the boy’s house in Cornelius, a small town located on Lake Norman in Mecklenburg County just north of Charlotte. 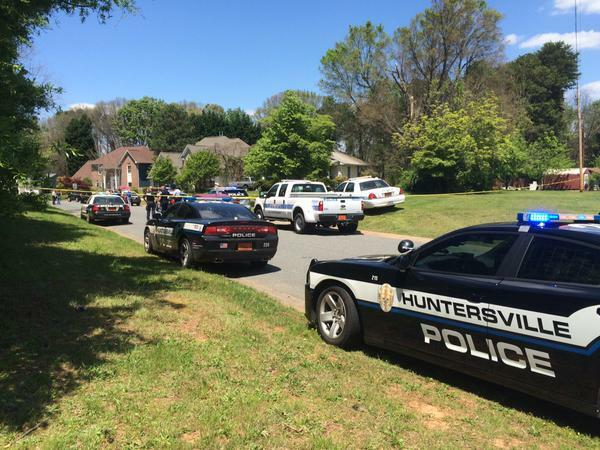 “On May 2, 2015 at 11:36 AM, Cornelius Police responded to a disturbance call at 19422 Coachman’s Trace. Shortly after arriving, officers came under fire from a suspect and Lt. James Quattlebaum was struck in the abdomen area. Another officer on the scene returned fire we believe hit the suspect at least once. The suspect, Grayson Ferrell (W/M DOB 8/13/98), was wearing a bullet proof vest and was not seriously injured. Ferrell is in custody and charges are pending. “Because the suspect was also shot by Cornelius officers, Cornelius Police has requested the Charlotte-Mecklenburg Police take over the investigation into this incident. To allow CMPD to fully investigate this matter independently, we will not release further information at this time. “Lt. James Quattlebaum was described as a senior officer working as the shift commander Saturday. “The officer is being surrounded by “plenty of people” at the hospital Saturday, according to Cornelius Police Chief Bence Hoyle. He said the officer was “alert and conscious” when he was taken to Carolinas Medical Center in Charlotte and added that he was “optimistic” that the officer will recover.